This topic contains 29 replies, has 16 voices, and was last updated by Justin Swanton 1 week, 4 days ago. 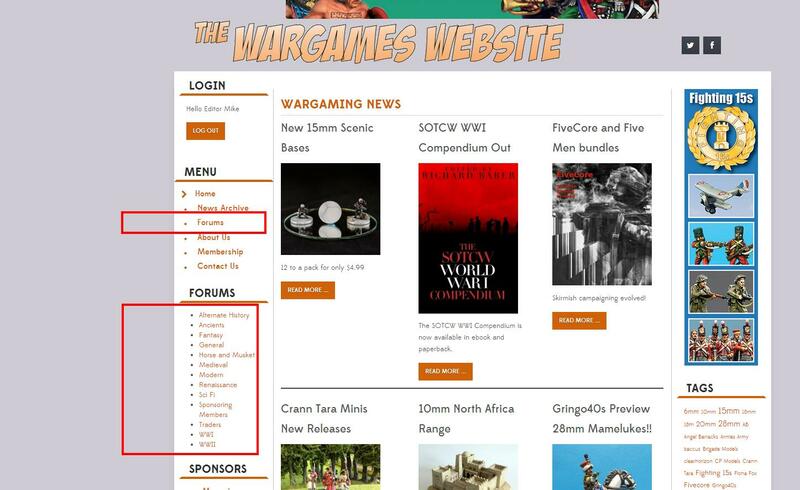 This is the forum for posting about things connected to ancients wargames. This topic was modified 4 years, 8 months ago by Samantha. Many thanks to Mike and Sam for setting up these new forums. By way of introduction, I have been wargaming Ancients since 1979. During that time, I have played some 20 different Ancients rule sets, enjoying some more than others. Since 2011, my rulebook of choice has been Hail Caesar, although I also enjoy reading battle reports by players using almost any set of Ancients rules. Apologies for the ‘Anonymous’ name in my post above – I had to ask Mike delete my original account and then set up a new one. At least all of the information is correct! This reply was modified 4 years, 8 months ago by A Lot of Gaul. I have drifted over from the “other place”; I wish this site every success! We are also moving here, will support once it settles down, good luck. Hi there Simon, nice to see you here. Yes, I’m all in favour of real names! I too wish this new site every success. I guess we need some posts, now. I’ll make a proper one, later. Yes, you can go into your profile and select what name is shown on the forum. No need to use your real name if you do not wish too. Personally Mike, I think that’s a shame. Real names encourage better behaviour. The only issues I guess is that people can put in any name when you register, I could for example change this to show Henry Hyde as my name rather than Editor Mike..
As with much we rely on the good nature and honesty of others. Some people will have want anonymity for good reasons, but it will be nice to see real names where possible. Hello chaps and chappesses, just registered and want to wish the forum every success. Looking forward to a new Forum. Just registered. Hi all – as above, just registered, wishing the website every success. Just heard about the new site. To be honest in 30 years I’ve spent more time painting,changing scale and collecting rules than playing. the stage I can’t possibly get sidetracked painting any more troops so I promise by the end of the year they will be played. After trying every scale I’ve now settled on 2mm on 60mm wide bases at a figure ratio of 1:2 or 1:4. Grand plans are Celts in Greece,Spain,Gaul etc. Well everywhere really using RRTK and the expanded campaign RRTKV by Mike Sagliano. I’m a solo player so I’ll mostly be looking ideas and parts of history I’m unfamiliar with from others here. Think that’s enough from me for now. I am returning to this hobby after a 20 year hiatus. A lot has changed in my absence! Looking forward to interacting with like minded hobbyists on the new forum. Good luck with the site! Logged in but can only reply on certain boards (like this one) – does anyone else have this problem or is it just me????? Hi Garry, this happened to me also. Refresh the page and you may be able to post. A link to the forums at the top of the homepage would be handy! Thanks Gary – did as you suggested and seems to work! Thanks for pointing out the links Mike. On the mobile version they are way down the bottom (at least on my phone). I’ll just bookmark the forum, it’s no problem. I’ve finally stumbled on this site. Nice to see Aaron and Simon here. And yes, I suppose that is a punt for the game. Check here if you’re interested. This reply was modified 1 week, 4 days ago by Justin Swanton.